People have always attempted to understand themselves and others in terms of categories. The Enneagram, a system of behavioural orientations, has been around for ages, dating as far back as 2500 BC. It has since been developed extensively by Don Riso and Russ Hudson. The Enneagram is further supported by The Enneagram Institute where a vast amount of information on the types can be found. 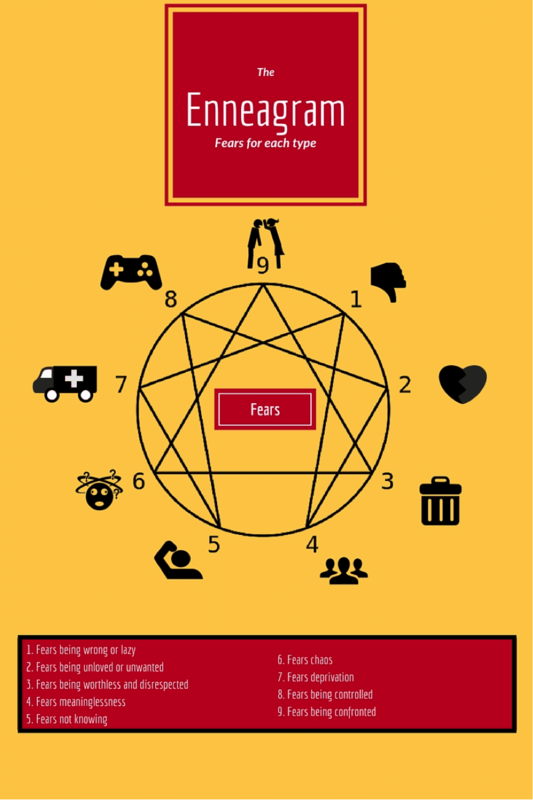 The nine Enneagram types are also referred to as “dynamic personality patterns”. This dynamic nature indicates that one’s personality may change and develop over time. This however depends on the ability of a person to realise the following: what his/her core emotional drivers are, as well as the true self and his/her defensive responses to feeling unloved. Perfectionists aim to be principled, good, controlled and intentional. Not having high standards or being unexceptional is unacceptable to these individuals. They can be expected to overextend themselves in order to achieve, and to steer away from what is wrong towards what is virtuous. Helpers feel that they need to be strong and generous towards others. They prove themselves worthy of love and acceptance by taking the responsibility to help and support others to the point of sacrificing their own needs. Achievers or Performers strive to achieve success and recognition by being ambitious, competitive, persuasive and adaptable. They feel that they will earn the admiration, trust and love of others through their reputation, image and self-image and impressive achievements. Romantics or Individualists avoid being boring, normal, superficial, uninteresting, average or mediocre. They seek depth, meaning, intimacy and self-expression and earn love by being emotionally intense, creative, expressive, artistic or dramatic. They may also come across as temperamental or spiritually inclined. Observers or Investigators aim at being in control by understanding their world. They are ruled by the head as opposed to the heart, seek learning and insight, and avoid feeling ignorant, inadequate, helpless and clueless. They earn the respect and acceptance of others by being competent and effective. Loyalists or Guardians deeply engage with others and their environments to ensure that all is well. They have a strong sense of responsibility and respond to their inner distrust and doubt by being vigilant, supportive of others and controlling. They are loyal and strive for security and connection with others. Enthusiasts seek sensation, fun, stimulation, variety and fulfilment in order to avoid disappointment, pain, sadness and/or helplessness. Their spontaneous and versatile behaviour is aimed at pursuing desires that they fear will not be fulfilled by others. Challengers come across as assertive, wilful, self-directed and confident. Their core fear is to be controlled, violated, betrayed and/or limited by circumstances. They avoid this by taking control in a powerful and self-sufficient way to ensure they get what they want. Peacemakers are fearful of conflict, disharmony and being disconnected from others. They therefore refrain from questioning or challenging themselves or other people and instead accommodate others to maintain peace, harmony and stability. Once a person has identified his/her core fear, the associated type to be integrated could be used for development. An example is the Type 6, who needs to overcome his/her own doubt and anxiety by developing the Type 9’s trust of others and the universe. To find out more about the Enneagram type (or dynamic personality patterns), try the Motivational Profile (MP) assessment from Cognadev.